Okay, so I kinda fibbed a little in my Vacation Hair post. Remember I said that I only took three products with me? Well, I actually brought four! If you look at the picture in that post again, you’ll see the same black tube that is pictured above. You see, I hadn’t done a henna treatment since the Meet-Up at Pooka Boutique at the end of May and my grey hair was obnoxiously long and apparent proof that I was long overdue. Most times, I don’t mind my tri-color roots. However, there are occasions when I have an event to attend or someplace special to go and would prefer that my grey isn’t screaming, “Hi” at everyone it sees. 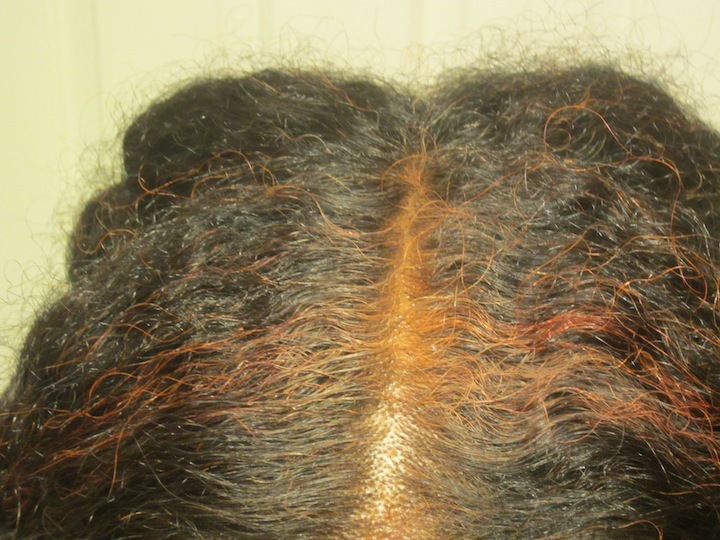 Well, you know a henna treatment takes a good amount of time given the prep, application, “development,” rinse and post-treatment DC … and that’s without the added steps and time required for a two step indigo!! Needless to say, I don’t always have a day to devote to a treatment when I really want to hide those greys … and a quicker, permanent color or rinse isn’t an option for me. Enter the hair color touch-up stick. So, about a week before we left for vacation, we “found” ourselves in Sally’s. I decided to hit the hair color aisle to check-out the assortment of hair color sticks that I’d seen before and had contemplated purchasing in the past. I mulled it over and decided to try one that had previously intrigued me, the Touch Back Hair Marker in Dark Auburn (matched my henna red grey). Only the box was in the aisle and you had to take it to the counter to get the actual product. So, I suspected it would be more expensive than the sticks that were readily available. 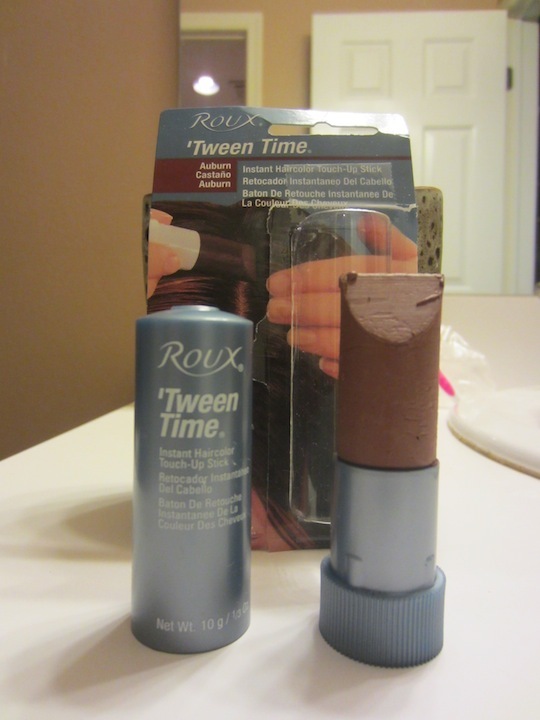 Therefore, I also grabbed the Roux ‘Tween Time stick in Auburn. Ingredients: Water, Alcohol Denat., Propylene Glycol, PVP/VA Copolymer, Polyvinyl Acetate. Cocamidopropyl Betaine, Hydrolyzed Wheat Protein, Dimethicone Copolyol, Potassium Sorbate, Amodimethicone, Trideceth-12, Cetrimonium Chloride, Fragrance, Butylphenyl Methylpropional, Benzl Salicylate, Linalool, Geraniol, Basic Blue 99 (CI 56059), Basic Brown 16 (CI 12250), Basic Red 76 (CI 12245), Basic Yellow 57 (CI 12719), Basic Brown 17 (CI 12251), Acid Violet 43 (CI 60730), Triethanolamine. Ingredients: Tea-stearate, paraffin, ozokerite, synthetic beeswax, talc, parfum (fragrance), citral, citronellol, coumarin, eugenol, geraniol, hydroxycitronellal, limonene, linalool, methylparaben, propylparaben, CI 77489 (iron oxide), CI 77492 (iron oxide), CI 77499 (iron oxide), CI 77491 (iron oxide), CI 77891 (titanium dioxide), CI 77007 (ultramarines). So, how did the contenders match up? 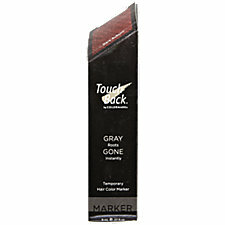 Touch Back comes in this nice, sleek container, really looks like a marker, applied easily like one and colored my grey roots a deep auburn that closely matched my hennaed grey. It left my hair with the normal amount of shine and didn’t seem drying. It didn’t flake or appear to rub off once dry. 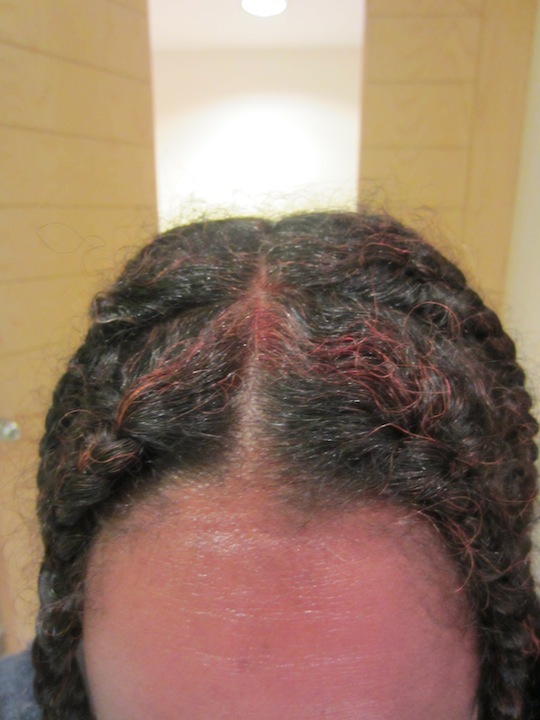 But, I did need to be careful when applying as it was easy to color “outside the lines” and end up with a red scalp too … and red fingers if I touched it before it dried (which only took a minute or less)!! Touch Back claims to last until the next wash, but I think that’s for those who wash their hair once every day or two and don’t apply creamy, buttery or oil-based products. It lasted about a day or so and then began to fade, requiring re-application if I didn’t want light orange/red roots. It also appeared to work better on freshly cleaned hair and didn’t seem to stick as well once I applied additional product to my hair. 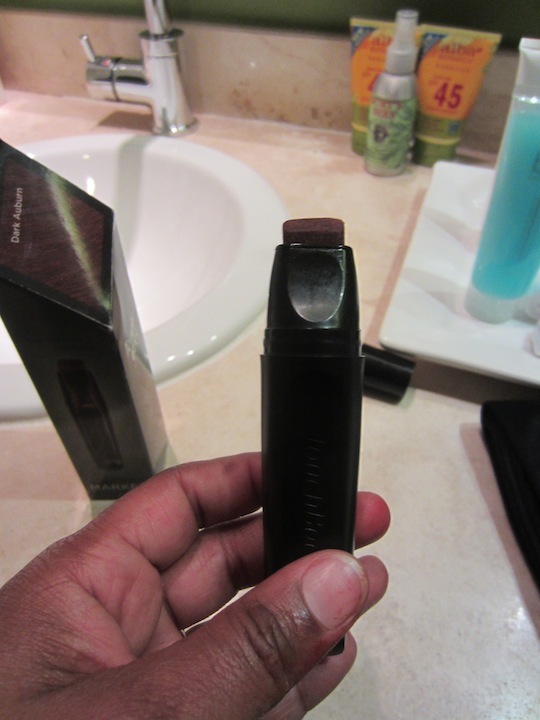 This hair color stick is like a thick block of clay and had to be wet before it could be applied. However, once the stick was wet, it seemed to go on relatively easily and smoothly. It left my hair with a lighter auburn color than the Touch Back marker and had a chalky appearance when applied, which I’m sure is attributable to the talc in the ingredients. The color was lighter than my hennaed grey and reminded me of red clay dirt. It also claimed, “color stays until shampooed away.” Ummmm … yeah … not so much when you wash your hair once a week. However, I did not notice it flaking or rubbing off on anything. Touch Back Marker by a technical knock-out!! 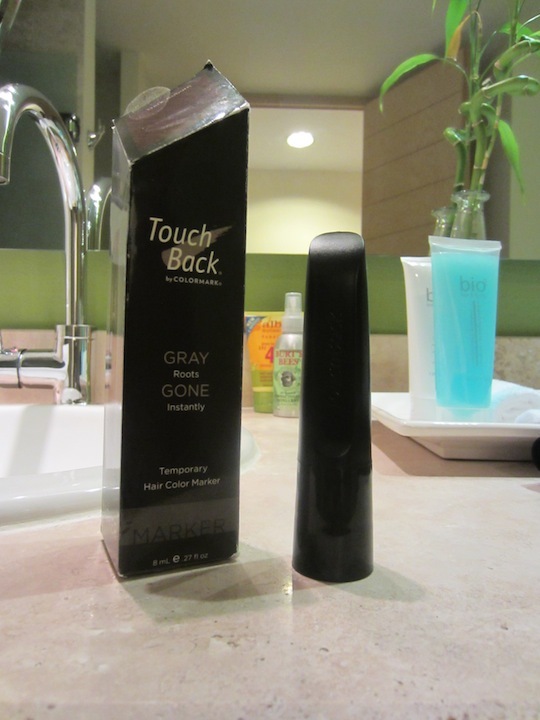 The Touch Back Marker was the superior temporary hair color touch-up stick by far. Shoot, given the price, it better be!! But, guess what, I Found It Cheaper!! LOL!! I went on Amazon and found it here for half the price at $13.50!! And, though it doesn’t qualify for Free Super Saver Shipping, at $4.59 for shipping, it still comes in under the Sally’s price! So, I definitely think that I’ll continue to use the Touch Back Marker for those times that I need a quick color touch up! 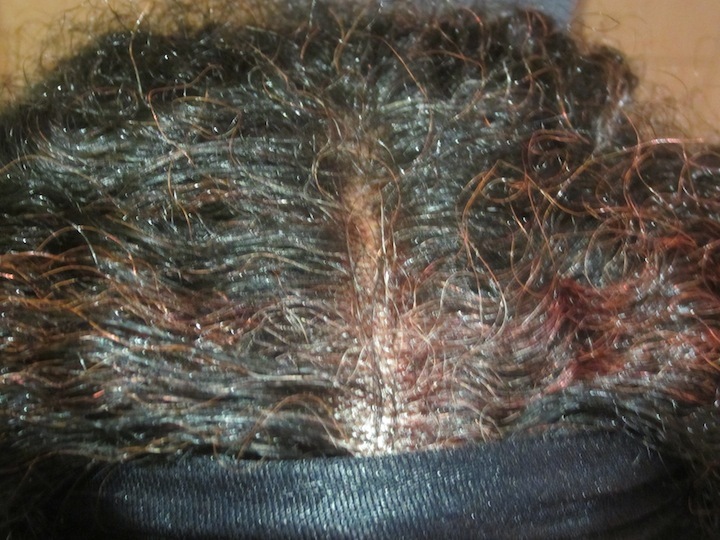 Shoot, I think I’ll be ordering a dark brown or black marker for that grey/red/black patch in the back of my head when an indigo treatment is long overdue, but not happening anytime soon!! LOL!! Have you tried any of the temporary hair color touch-up products? Which ones have you found to be effective and/or ineffective? What do you like and/or dislike about them? OMG! They make everything!!! So did you hear when the curl whisperer said to use mascara to mask the grey?? ?Touch Back won no doubt! No, I didn’t hear Tameeka say that, but it’s an old trick that my mom used all the time back in the day:). Shelli, I’m so tickled. YOU ROCK!!! I was so looking for this post. 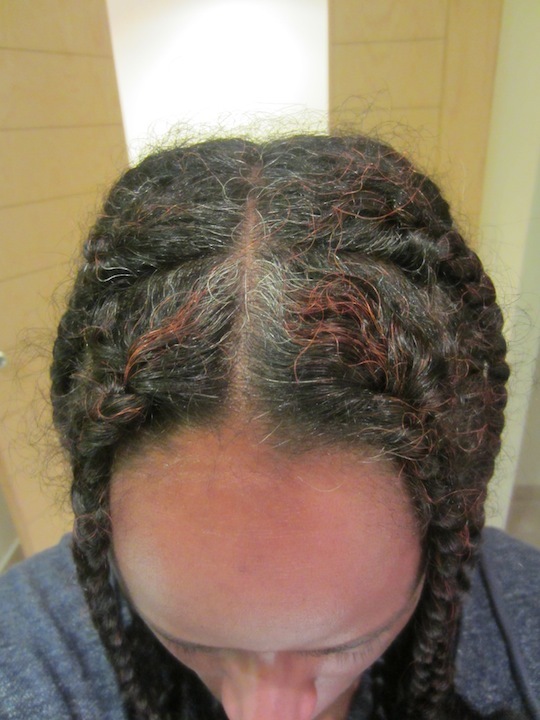 Since my hair is in braids, its not possible for me to do my henna treatment. The gray hairs in the front of my head are popping and driving me crazy. Many times I contemplated on stopping at Sally’s to see if the store had hair color touch up sticks, but didn’t know if it was worth it. So THANK YOU SO MUCH. Awwwwww, you are very welcome Marsha!! Loving that this post was right on time for you:)!! 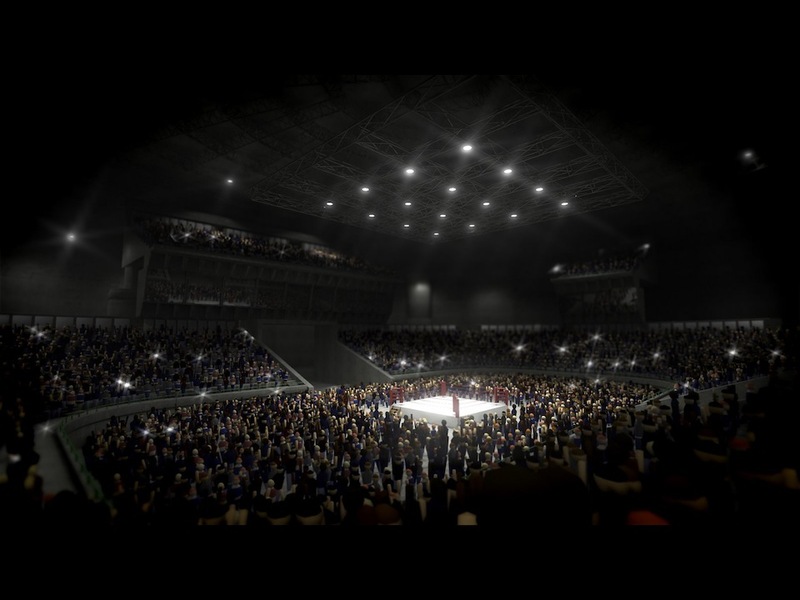 LOL technical knock out. I was reading intently wondering if the cheaper brand was better. I guess depending on one’s budget, at least there are options. Im at my desk cracking up . Thinking about what the heck I can come with with so I can make a couple dollars. Its too damn hard being a women. 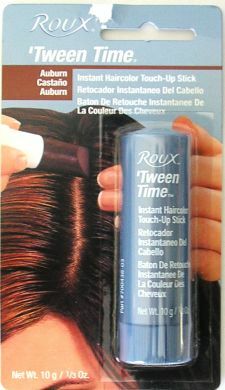 Tween Time has been my friend in a pinch for many years, but I have never paid more than $4 for one at the local beauty supply. IMO Sally Beauty is a tad expensive (to say the least). I’m sure the Touch Back stick is awesome, but at almost $30, I just can’t do it. I’m back to say that the Touch Back stick is cheaper online (depends on the color you buy) on Amazon.com. Hmm, that may be an option. Gee Shelli, thanks for the boost to my PJism, lol. LOL!! See, you just told on yourself that you didn’t read the whole thing Veronica. I said at the end that it was far cheaper, like half the price, on Amazon in the next to last pargaraph at the end of the post. *lol* That’s okay, I know about skimming;). I recycle old mascara and I use the Roux Tween Time, neither last on my hair for more than that day. Which I am ok with. I typically hide my grey with headbands until I get around to coloring it. I applaud your investigative skills! YOUR investigative work makes MY work so much easier. 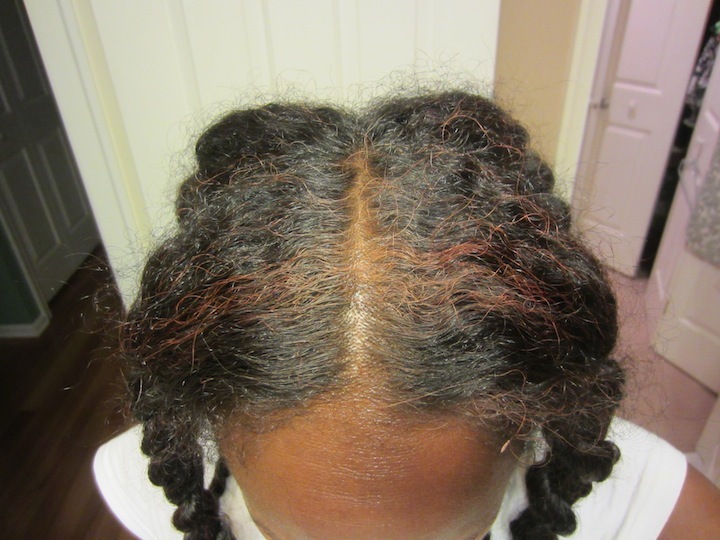 I have a few strands of grey starting to invade my hair line. I have several boxes of henna, but given my current relo situation, I dont have the energy to take it on, so Touch Back is about to become my latest acquisition. I love Amazon but may have to venture into Sally’s first so I can check out the color selections. PS. For those curlies using the ole’ mascara in a pinch trick, be aware that waterproof mascara works best. Otherwise as temperatures rise, you may find that you have black beads of sweat forming around your hairline. *o’the horror* Yup, happened to my buddy in Hot’lanta! Rhonda, Tameeka gave us this very helpful tip this past weekend! You are definitely right!!! 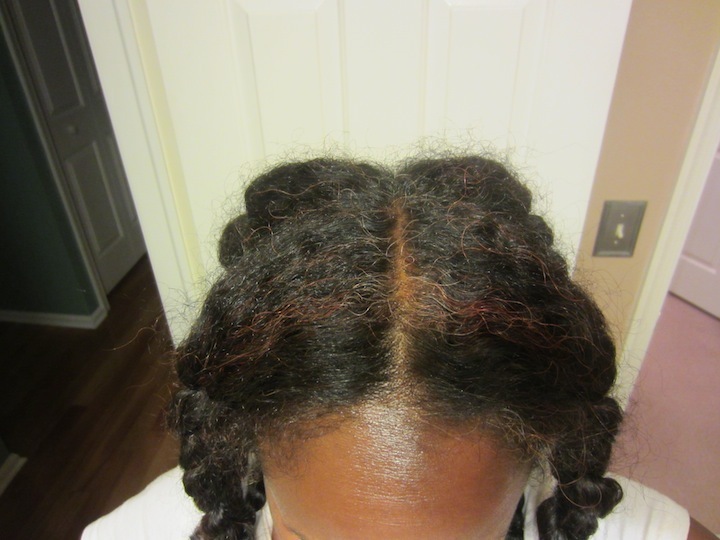 @Curlycheliz, my curlfriend learned this lesson the hard way. She routinely whips out a busted, darn-near dried out mascara wand and goes hard along her hairline. Unbeknownst to her, the beads of sweat that formed along her hairline resulted in small dark (as in black) beads..and no one told her! She only learned of her misfortune after she visited the ladies’ room and caught a glimpse of her reflection in the mirror. LOL!!! Okay, I know I’m wrong for laughing, but it makes me think of Jason Alexander’s character in Shallow Hal when he uses that spray paint hair and it drips all over his face when he was out in the heat!! LMBO!! How do y’all use mascara??? I tried that once and my fine hair got all tangled around the wand! My daughter had to help me untangle it. I nearly missed having to cut it! Michelle, that same thing also happened to me with mascara on loose hair. But, if you hold your hair taut and just lightly touch it with the mascara wand, instead of trying to comb your hair with it, it reduces the chance of it tangling. Yup, I been there done that! I have since walked away from the mascara in favor of longer term solutions. But, I have seen many curlies extend their strands and secure with their index and thumb and use the other hand to apply the mascara in a long, sweeping motion to avoid the hair wrapping around the wand. HTH! PS. I guess this all can be avoided if we flock to pick up the Touch Back Marker, huh? My mom used to use the black mascara to do her roots. As I’m only worried about covering my henna red grey, I don’t think that would work as I’ve never seen mascara in dark auburn red;). Ok, so, I hope I don’t have to duck from objects being thrown at my head, but why not just use a rinse to cover the grey? I have grey hair, but you don’t see it unless I part my hair a certain way, do I just don’t even worry about it, but if I did, I would probably use a rinse. Am I missing something? LOL!! Never Tracy;). I used to use rinses … but they rinse out and I don’t want to do both rinses and henna. The marker is fine for me as I am only concerned about covering the grey roots when I’m doing something special. Other than that, people can just deal with it until I get around to doing a henna tx;). LOL!! Zyaran, did you notice I said the same thing about it looking like that “red clay dirt?” LOL!! It totally does. I used to play in that stuff as a kid, b/c it’s in south Jersey in certain places too!! But yeah, totally agree that the Touch Back is far better. Thanks for coming back and telling me about the PPD in that other product, b/c I sure ’nuff was going to investigate before I read that!! There is this other henna in a bottle called Surya Brasil Henna Cream. Someone mentioned that CurlyNikki told them about it on CN’s FB page, I think. I did a little research, but nothing extensive yet. So, want to look into that a little more as it’s pre-mixed and has a far shorter process time than BAQ henna that I would mix myself. But, I’m not ready to jump on that yet as I know other ingredients are involved and I need to check those out first. posts. Any way I’ll be subscribing in your augment or even I fulfillment you get admission to constantly quickly.